Canada is conducting daily threat assessments of North Korea's provocative missile tests, including its most recent blast over Japan, Justin Trudeau said Tuesday. But the prime minister steered clear of a divisive security issue that has long had domestic political ramifications: the U.S. missile shield for North America, which successive governments have avoided for more than a decade. Trudeau and Foreign Affairs Minister Chrystia Freeland criticized North Korea's latest missile test as a threat to world peace, and urged a diplomatic solution to the escalating nuclear crisis. 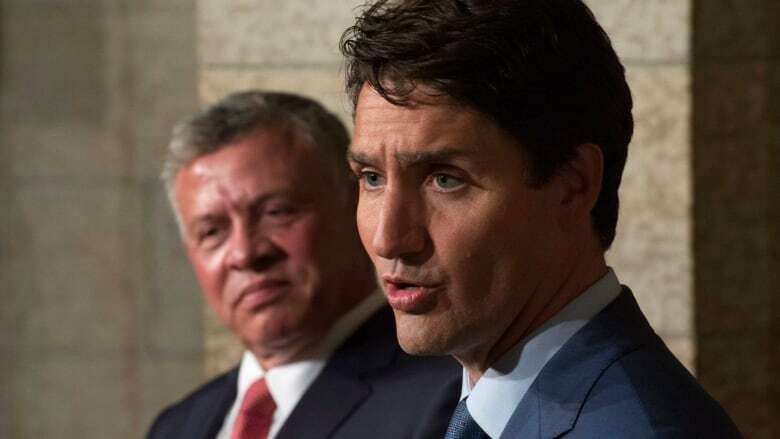 "These are things that endanger not just regional stability but world peace," Trudeau said in French as he hosted Jordan's King Abdullah in Ottawa. "This is an issue that is of concern to us daily and we will continue day by day to continue what we need to do keep Canadians safe." Trudeau said last week that Canada's "long-standing" position on staying out of the U.S. missile defence program would not be changing any time soon. The issue has resurfaced since a North Korean launch in early July raised the possibility the country had created an intercontinental ballistic missile capable of reaching North America. "North Korea's reckless violation of its neighbours' territorial sovereignty and its direct threat to Japan's citizens have threatened both regional and international peace and security," Freeland said in a statement Tuesday. U.S. President Donald Trump, who had a 40-minute conversation with Japanese Prime Minister Shinzo Abe, said all options are on the table. Last week, the House of Commons defence committee held a rare summer sitting to discuss North Korea and whether Canada should consider joining the U.S. ballistic missile defence shield. The issue has been a volatile one in Canadian politics since the Liberal government of Paul Martin in 2005 surprised the then-Bush administration with its decision to opt out of the Pentagon's proposed BMD program. Martin was leading a short-lived minority government, and joining the U.S. missile shield was unpopular in Quebec. Conservative Prime Minister Stephen Harper also steered clear of the issue when it arose during his near-decade in power. At least one current Liberal MP and one former senator have said Canada should consider joining the program. Leading Canadian experts remain divided. Fen Hampson, director of the global security program at the Centre for International Governance Innovation, said the government should undertake a careful analysis of the idea, since North Korea's evolving capabilities are testing old assumptions. A decade ago, there was a "strong strategic rationale" for not joining the U.S. program because it could be seen as "undermining deterrence or getting into an escalating arms race," he said. "North Korea has exceeded every expectation in terms of its ability to both develop nuclear weapons — they're obviously moving quickly to miniaturize them — and developing intercontinental missile capability." Douglas Roche, a former Canadian senator disarmament ambassador, said there's no way Canada should reconsider ballistic missile defence because the technology doesn't work and it does nothing to encourage nuclear armed states to cut back their arsenals. "It's a stimulant to the nuclear arms race," Roche said. "That's the worst thing Canada could do in the current crisis." Roche said the government needs to articulate a clearer approach to curbing nuclear proliferation than was laid out by Freeland in her major speech on Canada's foreign policy in June. "It was full of a lot of good things but it didn't really seize the moment," he said. "The pillars of global security are arms control and disarmament, economic and social development, environmental protection and human rights." Canada's recently released defence policy acknowledges the threat posed by North Korea, but does not specifically deal with the question of whether Canada should consider joining a U.S.-led ballistic missile defence program. 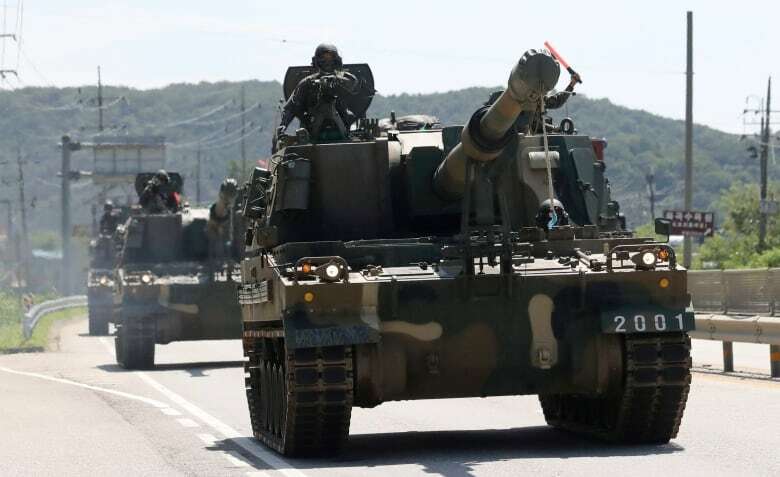 The policy said the government planned to discuss with the U.S. ways to improve continental defences against several threats, including ballistic missiles.